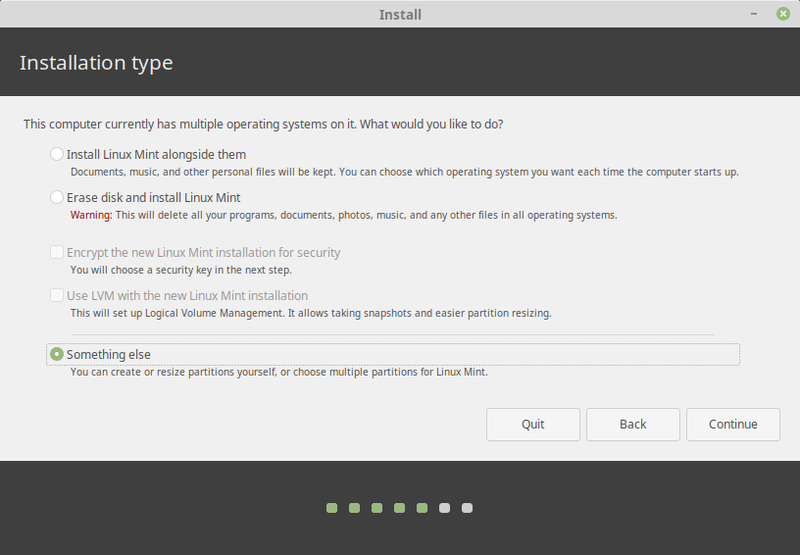 This tutorial explains step by step to install Linux Mint 19 LTS "Tara". This is based on Cinnamon Edition, but this should be applicable to XFCE, MATE, and Debian Editions as well, because their graphical installers are no different. You can apply this tutorial in either singleboot or dualboot mode, as you wish. You will prepare two blank partitions, with USB Flash Drive as installation media, and go through 10 steps in no more than 20 minutes. Happy installing! 1) Create 2 blank partitions, one at least of 20GB, and another one 1GB. 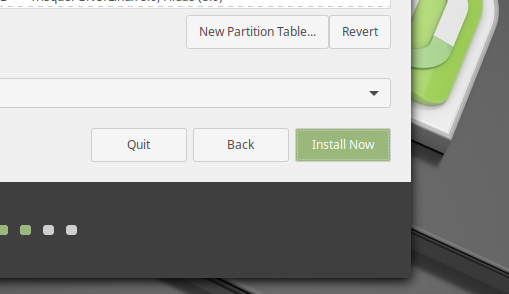 The first blank partition will be your main partition. The second one will be the swap. In this example, I use my /dev/sdc2 of 20GB as main, and /dev/sda7 of 2GB as swap. Once again, it's always better to prepare partitions before doing the real installation. 2) Burn the ISO image of Linux Mint 19 into a USB Flash Drive. 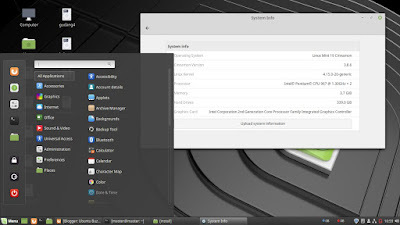 You can use the program UNetbootin (GNU/Linux and Windows), or Rufus (Windows only), or Multisystem (GNU/Linux only), or GNOME Disk Utility (GNU/Linux only). If you cannot choose, I recommend Disk Utility as it already pre-installed in both Ubuntu and Mint. Make sure the drive has 4GB or more free space. 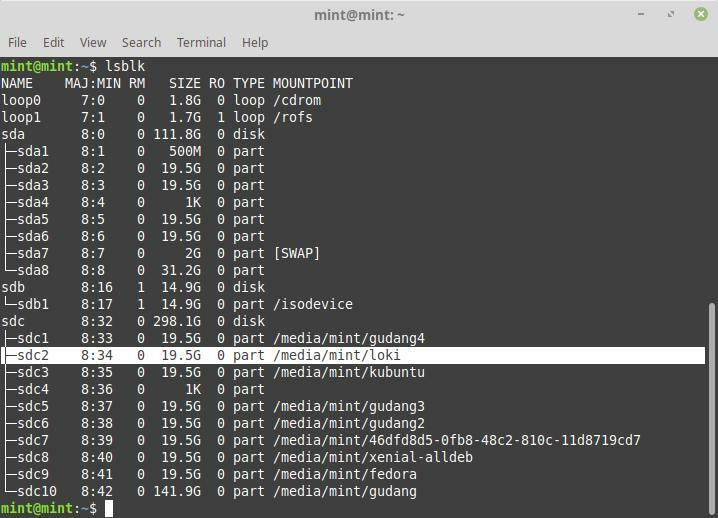 Plug your USB Flash Drive in and boot up your computer into it. 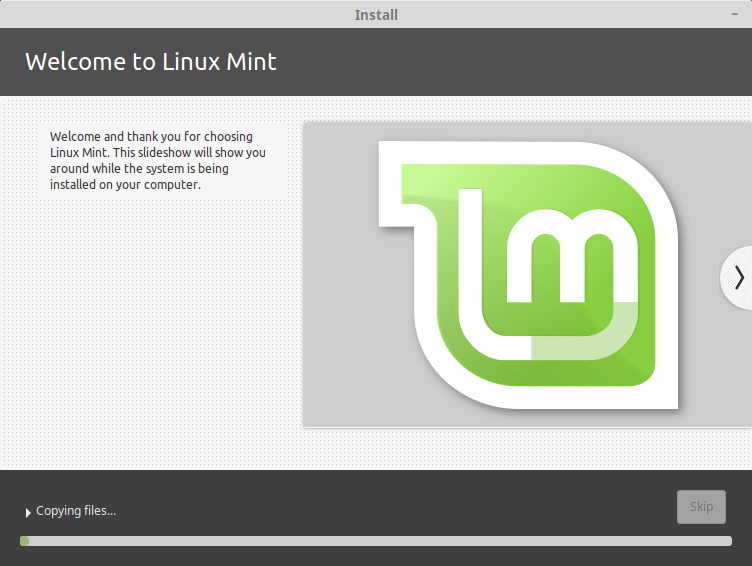 You should see Linux Mint 19 welcome screen with full its desktop. This screen is a full operating system session called "LiveCD Session". 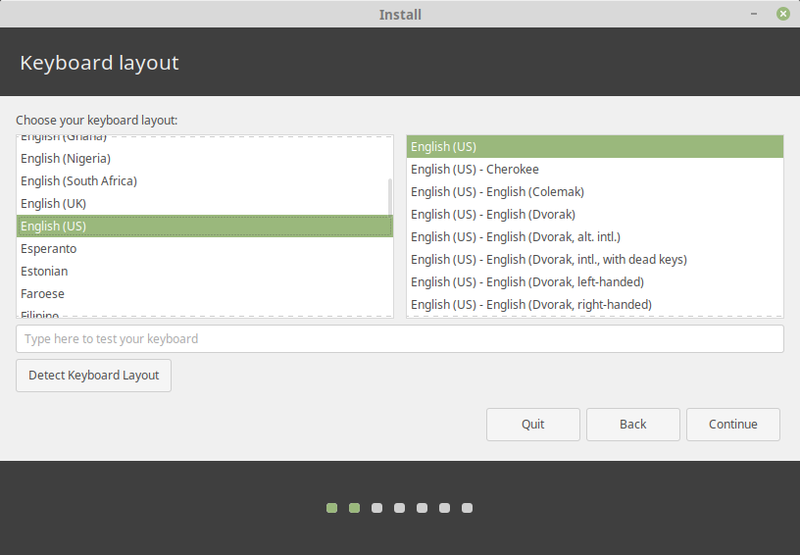 Here, double-click the Install Linux Mint 19 on the desktop to run the Graphical Installer. Determine your language. "English" is safe choice. Choose your keyboard layout. The default "English (US)" is safe choice. Choose not to connect to any network. 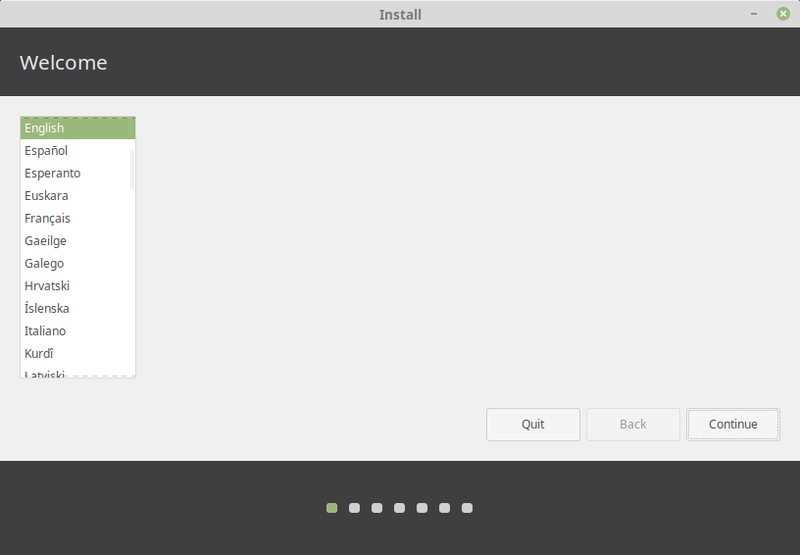 Blank the option of "Install third-party ...". Choose Something Else. This will allow you to manually edit your partitions. You may be asked to unmount mounted partitions. Accept it anyway with Yes. 1) Select the first blank partition, the bigger one. 1) Select second blank partition, the smaller one. Choose the location for your GRUB bootloader. If your main partition is /dev/sdc2, then the location is /dev/sdc. Notice the partition sdc2 is located in the hard disk /dev/sdc, so place the bootloader in the hard disk /dev/sdc. The graphical installer will show you the summary of your partitioning choices, for the last time, so read the summary carefully before pressing Continue. You cannot go back after this. If everything is okay, press Continue. 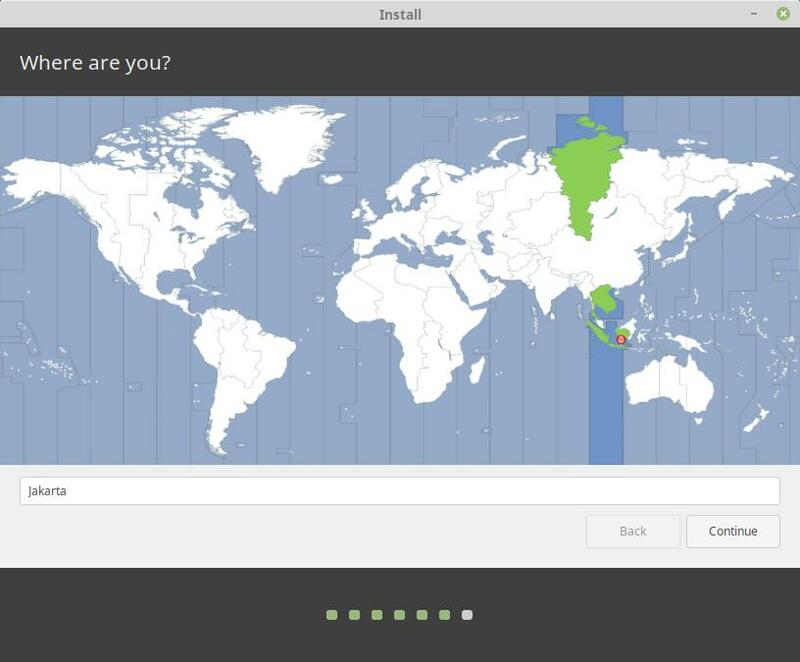 Choose your geographical location to determine Linux Mint time zone and numbering format. For example, here, I choose Jakarta, Asia, so my time will be GMT+7 aka Western Indonesian Time. 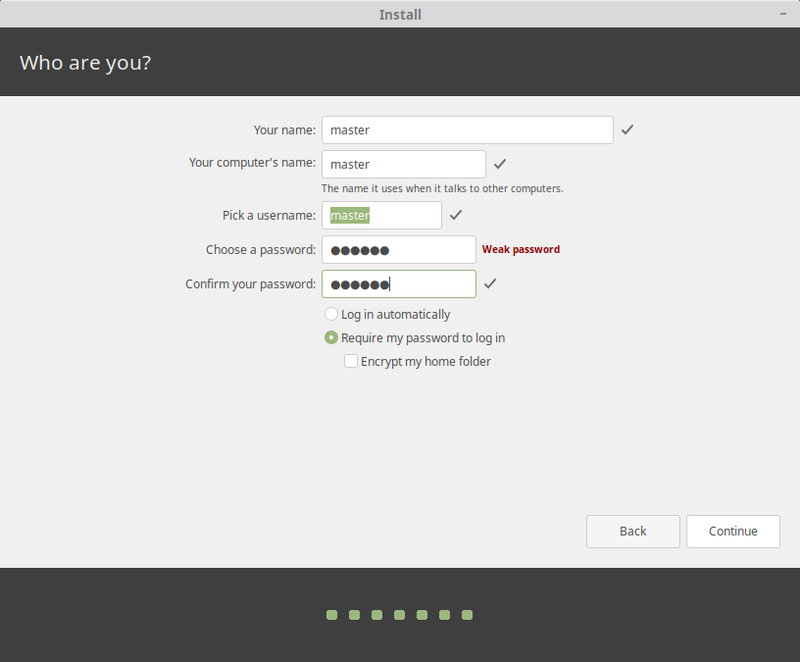 Determine your new username and password for Linux Mint. Remember this password to login into your desktop and sudo. Now, you just need to wait for the actual installation process taking time. This should do the job for 15 minutes or less. 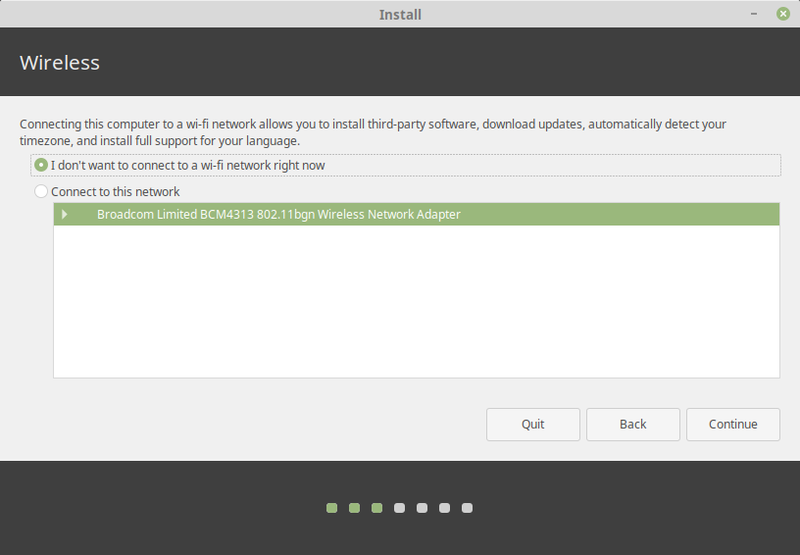 Once finished, you will see Installation Complete notification. 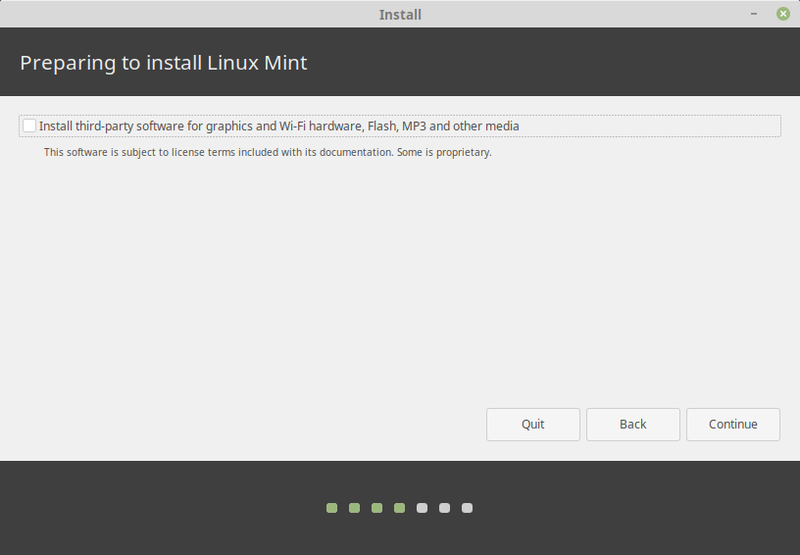 Press Restart Now to reboot and enter your new Linux Mint 19 LTS desktop! 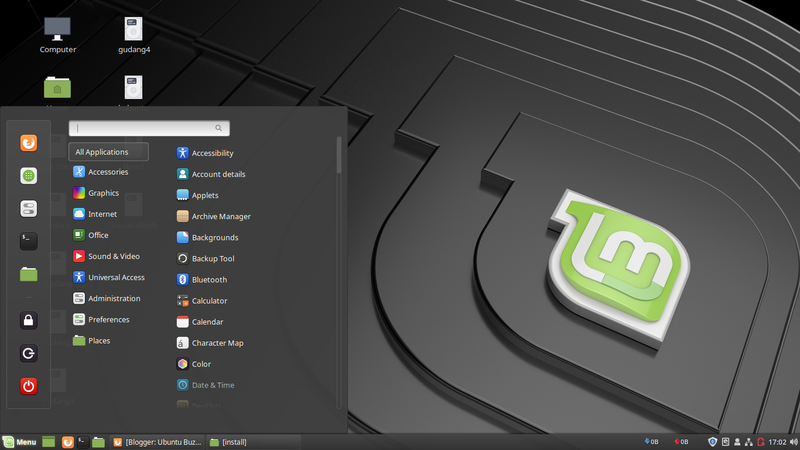 Your new operating system should look like this with its menu and System Info. Happy installing!